1. BINDING EFFECT. These Terms & Conditions (“Agreement”) constitute a contractual agreement between you and Model Investing (“ModelInvesting.com”, “Model Investing”, “we”, “us”, “our”) regarding your use of https://modelinvesting.com (“Site”). Read the document carefully. You agree to this contract when signing up for a free newsletter, by visiting more than three pages of the Site, or by checking a box evidencing your approval when purchasing a product from us. 2. ARBITRATION. Any dispute, claim or controversy arising out of or relating to this Agreement or the breach, termination, enforcement, interpretation or validity thereof, including the determination of the scope or applicability of this Agreement to arbitrate, shall be determined by arbitration in San Diego, California before one arbitrator. The arbitration shall be administered by JAMS pursuant to its Comprehensive Arbitration Rules and Procedures. Judgment on the Award may be entered in any court having jurisdiction. This clause shall not preclude parties from seeking provisional remedies in aid of arbitration from a court of appropriate jurisdiction. (a) In any arbitration arising out of or related to this Agreement, the arbitrator may not award any incidental, indirect or consequential damages, including damages for lost profits. (b) This Agreement and the rights of the parties hereunder shall be governed by and construed in accordance with the laws of the State of California, exclusive of conflict or choice of law rules. (c) In any arbitration arising out of or related to this Agreement, the arbitrator shall NOT award to the prevailing party, if any, the costs and attorneys’ fees reasonably incurred by the prevailing party in connection with the arbitration. 6. NOT LICENSED ADVISER. Model Investing is not registered as an investment adviser with any federal or state regulatory agency. Instead, we are a publisher of a bona fide publication of general and regular circulation offering general and impersonal investment-related advice to the general public pursuant to the “publisher’s exclusion” found in section 202(a)(11)(D) of the Investment Advisers Act of 1940. Materials provided via the Site, whether free or through a paid subscription, should not be construed as being tailored to your specific financial profile, investment portfolio or investment objectives. Past performance is in no way indicative of future performance. 7. LICENSE TO USE. When you visit ModelInvesting.com, we grant you a limited, terminable, non-exclusive right to access and use the free materials provided on the Site. We reserve the right to terminate this license at any time without cause and in our sole discretion. 8. FREE NEWSLETTER. You may elect to subscribe to receive a free newsletter from us. You may cancel the subscription by opting out at any time. We reserve the right to terminate the newsletter without cause at any time. The materials provided as part of your free subscription are licensed for your personal, noncommercial use only. We do not transfer either the title or the intellectual property rights to the materials to you, and we retain full and complete title to the materials as well as all intellectual property rights therein. You may not sell, redistribute, or reproduce the materials without our prior written consent. 9. PAID SUBSCRIPTION. You may register for one of a variety of subscriptions with us at rates indicated on the Site. The materials provided as part of your paid subscription are licensed to you by us, for your personal, noncommercial use only. We do not transfer either the title or the intellectual property rights to the materials to you, and we retain full and complete title to the materials as well as all intellectual property rights therein. You may not sell, redistribute, or reproduce the materials without our prior written consent. 10. FREE TRIAL, CANCELLATION AND REFUNDS. You may sign up for a one-month free trial to access and use the subscriber area of the Site. You may cancel at any time during this one-month period without being charged. Should you fail to cancel prior to the end of the one-month free trial, you will be charged thereafter at the subscription rate you select when signing up for the free trial. Full refunds are not provided following the initial 30 calendar days of your subscription. However, you may cancel your subscription at any time after the initial 30 calendar day period and receive a pro-rata refund for the then current paid period in question. The pro-rata refund shall be calculated by dividing the most recent subscription payment by the number of calendar days remaining for the then current paid period. No refund shall be available for subscription billing periods that have previously expired. 11. TERM AND TERMINATION. We reserve the right to terminate your account for violating the terms of this Agreement, your engagement in activities that we determine harm us in our sole discretion, upon request of law enforcement authorities, or for non-payment of subscription fees. We may, in our sole discretion, provide you with a reason for termination, but shall not be required to do so. Termination of your subscription will include denial of access to your account as well as being banned from registering for a new account with us. No refund of any type shall be issued upon termination of a paid subscriber. 12. BLOCKING VISITORS. We reserve the right to, in our sole discretion, block any party from visiting the Site. 13. CONFIDENTIALITY AND PASSWORDS. When you open an account with us, you must complete the registration process by providing the complete and accurate information requested on the registration form. You are entirely responsible for maintaining the confidentiality of your password. You may not use the account, username, or password of someone else at any time or share your username and password with any third party. You agree to notify us immediately if you discover any unauthorized use of your account, username, or password. We shall not be liable for any loss that you incur as a result of someone else using your password, either with or without your knowledge. You may be held liable for any losses incurred by us, our affiliates, officers, directors, employees, consultants, agents, and representatives due to someone else’s use of your account or password. 14. ALLEGED VIOLATIONS. To ensure that we provide a high-quality experience for you and for other users of the Site, materials and products, you agree that we or any of our representatives may access your account and records on a case-by-case basis to investigate complaints or allegations of abuse, infringement of third party rights, or other unauthorized uses of the Site, materials or products. We do not intend to disclose the existence or occurrence of such an investigation unless required by law, but we reserve the right to suspend or terminate your account or your access to the Site immediately, with or without notice to you, and without liability to you, if we believe that you have violated this Agreement, furnished us with false or misleading information, or interfered with use of the Site, materials or products by others. 15. NO WARRANTIES. MODEL INVESTING HEREBY DISCLAIMS ALL WARRANTIES. WE ARE MAKING THE SITE, MATERIALS AND PRODUCTS AVAILABLE “AS IS” WITHOUT WARRANTY OF ANY KIND. YOU ASSUME THE RISK OF ANY AND ALL DAMAGE OR LOSS FROM USE OF, OR INABILITY TO USE, THE SITE, MATERIALS OR PRODUCTS. TO THE MAXIMUM EXTENT PERMITTED BY LAW, WE EXPRESSLY DISCLAIM ANY AND ALL WARRANTIES, EXPRESS OR IMPLIED, REGARDING THE SITE, MATERIALS AND PRODUCTS, INCLUDING, BUT NOT LIMITED TO, ANY IMPLIED WARRANTIES OF MERCHANTABILITY, FITNESS FOR A PARTICULAR PURPOSE, OR NONINFRINGEMENT. WE DO NOT WARRANT THAT THE SITE, MATERIALS OR PRODUCTS WILL MEET YOUR REQUIREMENTS OR THAT THE OPERATION OF THE SITE WILL BE UNINTERRUPTED OR ERROR-FREE. 16. LIMITED LIABILITY. OUR LIABILITY TO YOU IS LIMITED. TO THE MAXIMUM EXTENT PERMITTED BY LAW, IN NO EVENT SHALL WE BE LIABLE FOR DAMAGES OF ANY KIND (INCLUDING, BUT NOT LIMITED TO, SPECIAL, INCIDENTAL, OR CONSEQUENTIAL DAMAGES, LOST PROFITS, OR LOST DATA, REGARDLESS OF THE FORESEEABILITY OF THOSE DAMAGES) ARISING OUT OF OR IN CONNECTION WITH YOUR USE OF THE SITE OR ANY OTHER MATERIALS OR PRODUCTS PROVIDED TO YOU BY US IN AN AMOUNT IN EXCESS OF THE TOTAL FEES YOU HAVE PAID FOR YOUR SUBSCRIPTION WITH US. IF YOU DO NOT HAVE A PAID SUBSCIPTION WITH US, YOUR DAMAGES SHALL BE LIMITED TO $1,000.00. THIS LIMITATION SHALL APPLY REGARDLESS OF WHETHER THE DAMAGES ARISE OUT OF BREACH OF CONTRACT, TORT, OR ANOTHER OTHER LEGAL THEORY OR FORM OF LEGAL ACTION. 17. EXCLUSIONS AND LIMITATIONS. SOME JURISDICTIONS DO NOT ALLOW THE EXCLUSION OF CERTAIN WARRANTIES OR THE LIMITATION OR EXCLUSION OF LIABILITY FOR INCIDENTAL OR CONSEQUENTIAL DAMAGES. ACCORDINGLY, SOME OF THE ABOVE LIMITATIONS OF SECTIONS 14 AND 15 MAY NOT APPLY TO YOU. 18. AFFILIATED SITES. We have no control over, and no liability for any third party websites or materials appearing on the Site. We work with a number of partners and affiliates whose Internet sites may be linked with the Site. Because we have no control over the content and performance of these partner and affiliate sites, we make no guarantees about the accuracy, currency, content, or quality of the information provided by such sites, and assume no responsibility for unintended, objectionable, inaccurate, misleading, or unlawful content that may reside on those sites. Similarly, from time to time in connection with your use of the Site, materials and product, you may have access to content items (including, but not limited to, websites) that are owned by third parties. You acknowledge and agree that we make no guarantees about, and assume no responsibility for, the accuracy, currency, content, or quality of this third party content, and that, unless expressly provided otherwise, this Agreement shall govern your use of any and all third party content. 19. PROHIBITED USES. We impose certain restrictions on your permissible use of the Site, materials and products. You are prohibited from violating or attempting to violate any security features of the Site, including, without limitation, (a) accessing content or data not intended for you, or logging onto a server or account that you are not authorized to access; (b) attempting to probe, scan, or test the vulnerability of the site, or any associated system or network, or to breach security or authentication measures without proper authorization; (c) interfering or attempting to interfere with services to any user, host, or network, including, without limitation, by means of submitting a virus to the site, overloading, “flooding,” “spamming,” “mail bombing,” or “crashing;” (d) using the Site to send unsolicited e-mail, including, without limitation, promotions, or advertisements for products or services; (e) forging any TCP/IP packet header or any part of the header information in any e-mail or in any posting using the services; (f) attempting to modify, reverse-engineer, decompile, disassemble, or otherwise reduce or attempt to reduce to a human-perceivable form any of the source code used by US in providing the Site; or (g) scraping any content from the Site. Any violation of system or network security may subject you to civil and/or criminal liability. 20. NO ENDORSEMENTS. The mere appearance of any individual or company on the Site is not indicative of any endorsement by us of said individual or company. As a matter of company policy, we do not endorse any other parties. 21. INDEMNITY. You agree to indemnify, defend, and hold harmless us, our affiliates, officers, directors, employees, consultants, agents, and representatives from any and all third party claims, losses, liability, damages, and/or costs (including reasonable attorney fees and costs) arising from your access to or use of the Site, materials or products, your violation of this Agreement, or your infringement, or infringement by any other user of your account, of any intellectual property or other right of any person or entity. We will notify you promptly of any such claim, loss, liability, or demand, and will provide you with reasonable assistance, at your expense, in defending any such claim, loss, liability, damage, or cost. 22. COPYRIGHT. 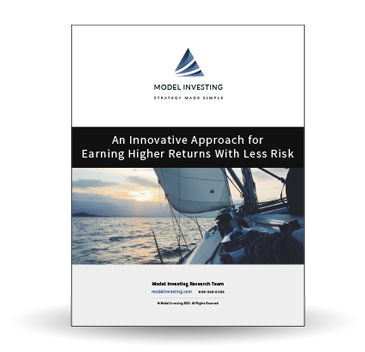 All contents Copyright © 2015 – Model Investing. All rights reserved. 23. EMAIL COMMUNICATION. When you contact us, sign up for a free newsletter, or register for a subscription on the Site, you consent to receive communications from us electronically. You agree that any such communication via email shall constitute legal written communication in compliance with any and all legal notice requirements. 24. GOVERNING LAW. This Agreement shall be construed in accordance with and governed by the laws of the United States and the State of California, without reference to their rules regarding conflicts of law. Should the arbitration provision in this Agreement be invalidated for any reason, you hereby irrevocably consent to the exclusive jurisdiction of the state or federal courts located in San Diego County, California in all disputes arising out of or related to the use of the Site, materials or products. 25. SEVERABILITY; WAIVER. If, for whatever reason, a court of competent jurisdiction finds any term or condition in this Agreement to be unenforceable, all other terms and conditions will remain unaffected and in full force and effect. No waiver of any breach of any provision of this Agreement shall constitute a waiver of any prior, concurrent, or subsequent breach of the same or any other provisions hereof, and no waiver shall be effective unless made in writing and signed by an authorized representative of the waiving party. 26. TRADEMARKS. Nothing contained on the Site should be understood as granting you a license to use any of the trademarks, Services marks, or logos owned by Model Investing or by any third party. (a) Provide you notice by email of said change 30 days prior to the change going into force. (b) Clearly publish on the member login page the fact a modification will be made with a link to a page detailing the changes, the date the changes will go into effect and contact information so you may discuss the proposed changes with us. You may choose to reject the proposed modifications by canceling your subscription with us, opting out of the free newsletter and ceasing your use of the Site. Have questions regarding this Agreement? Contact us using the “Contact Us” function on the Site.